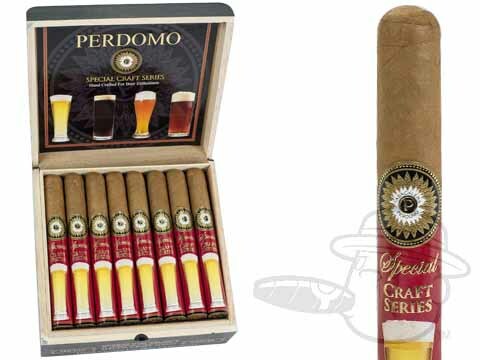 Nick Perdomo brings his sharp blending expertise to the Perdomo Special Craft Series: a trio of carefully crafted premium cigars designed to compliment specific styles of beer. 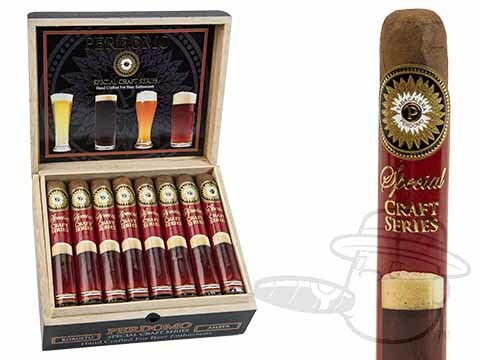 Available in Connecticut (Pilsner,) Sun Grown (Amber,) and Maduro (Stout,) wrapper shades, these complex and well-rounded blends are sure to hit the spot for beer lovers and cigar enthusiasts alike. Pilsner is blended with a creamy U.S. Connecticut wrapper, a naturally sweet Nicaraguan binder from the Jalapa Valley, and rich, aromatic Nicaraguan fillers from the Condega Valley. The Pilsner is a mellow to medium-bodied blend that is designed to pair with the light, crisp, clean flavors found in pilsners, white ales, golden lagers, cream ales, or light lagers. Amber combines a spicy-sweet Cuban-seed Sun Grown wrapper from the Jalapa Valley, a rich, aromatic Nicaraguan binder from the Condega Valley, and robust Cuban-seed Nicaraguan fillers from the Estelí Valley. The Amber is a medium to full-bodied blend made to pair with the toasted malt flavors, floral aromas, and hoppy finishes found in ambers, pale ales, lagers, IPAs, Oktoberfests, or double IPAs. Stout uses a dark, oily Cuban-seed Nicaraguan Maduro wrapper from the Jalapa Valley, a rich, aromatic Nicaraguan binder from the Condega Valley, and robust Cuban-seed Nicaraguan fillers from the Estelí Valley. The Stout is a medium to full-bodied blend geared towards the thick, dark chocolate, roasted coffee, and smoky flavors found in stouts, porters, brown ales, bocks, dunkels, and imperial stouts.